A contact is a person or a company that has a relationship with your company. A person (contact) is someone you have a relationship with. 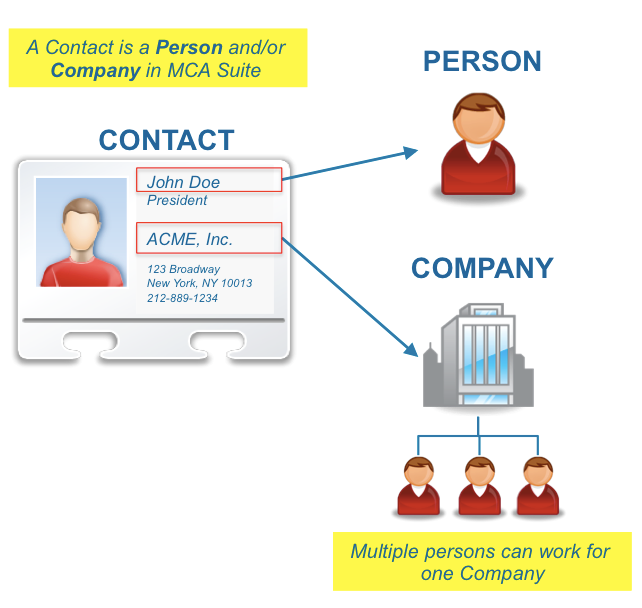 When you add a person as a contact to MCA Suite, the Company and DBA information during the contact creation process will also create a company contact. 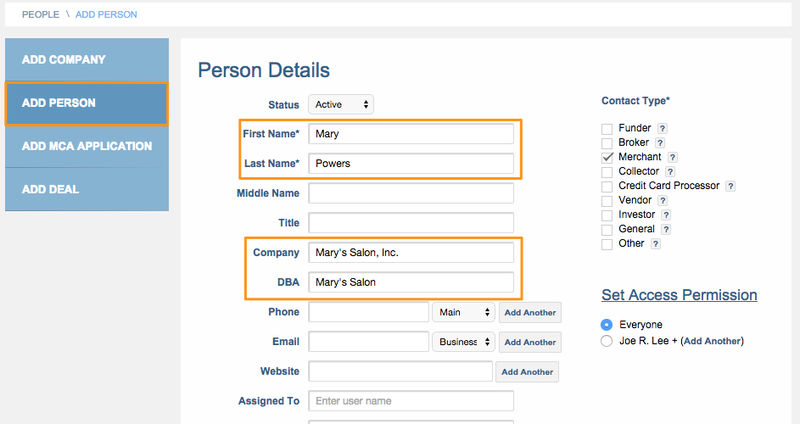 In the example below, when you add a "Person," Mary Powers, MCA Suite will also create "Mary's Salon, Inc." as a "Company." A company contact is a business organization and generally has persons (contacts) associated with it. 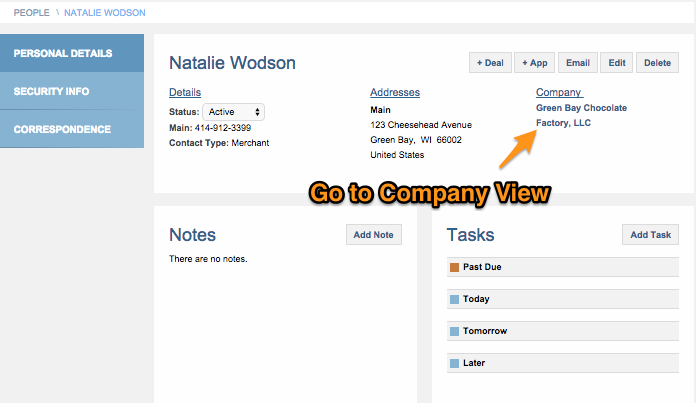 You can create a company without adding a person to the company by selecting the "Add New Company" tab. You can associate persons to the company after the company has been created. 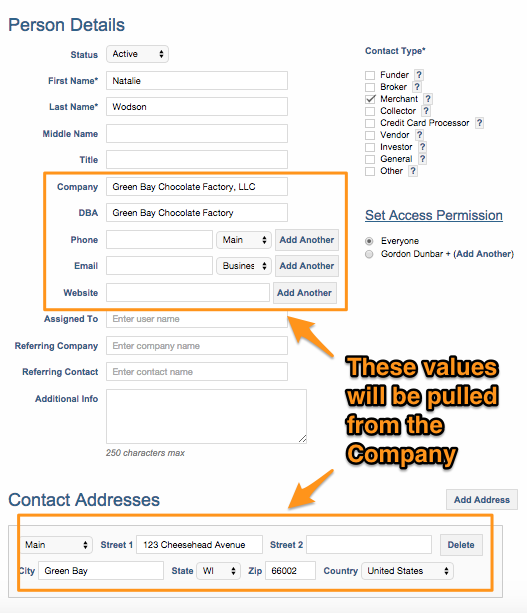 The example below shows you how you can add a "Person" to be associated with an existing "Company" (i.e., Green Bay Chocolate Factory"). Below is a Person View. To get back to the Company View, click on the Company Name. 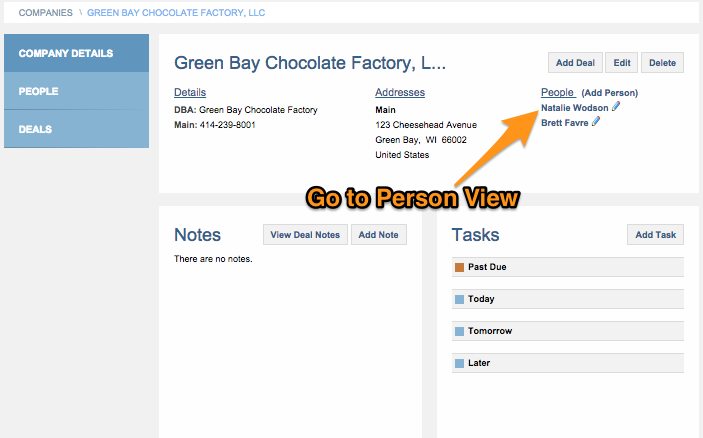 Notes and tasks can be assigned to a contact (both persons and companies). Deals are only attached to contact companies (not persons). Refer to "What's a Deal" article for more details.